Inaugurated in 1981 at Alameda Franca number 1088, the Ritz, with an easy going atmosphere and retro air, has its decoration signed by the painter Wesley Duke Lee, who also designed the restaurant’s logo. All year round, under the curatorship of the architect André Vainer and the painter Mirella Marino, the showcases get new painting interventions with illustration, sculpture and photography works. 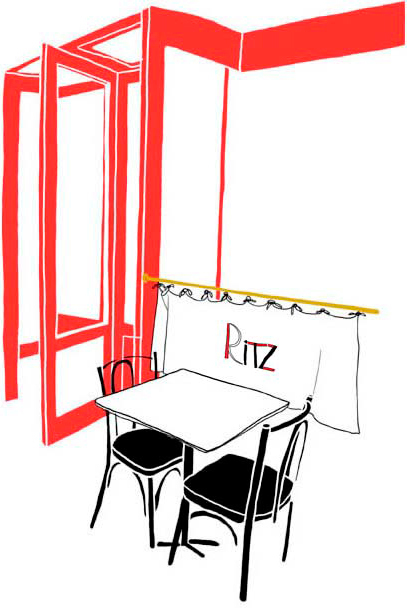 Always democratic and open to everyone, the Ritz was a pioneer in many aspects in the city. It was one of the first restaurants to serve wine in wineglass and to give a chance to academic and young people into their staff. Cuisine from various parts of the world can be found on Ritz’s varied menu, with dishes that are successful since its opening, such as Chicken Pie with small a small portion of salad, in-house made Hamburgers served in different versions, such as Poivre and the classic Ritz Burger, besides the famous bolinho de arroz (rice croquette) , always with a different dish every day. Ritz Franca also offers delivery service called "Ritz at Home (Ritz em Casa)" in all region of Jardins and surroundings. Ritz Itaim was inaugurated in 2000. Designed by the architect André Vainer - who created a barn of 160 m², with natural light and a background garden - the environment refers to Ritz Alameda Franca, with red leather sofas, brass light fixtures, mirrors, and the red revolving door at the entrance. 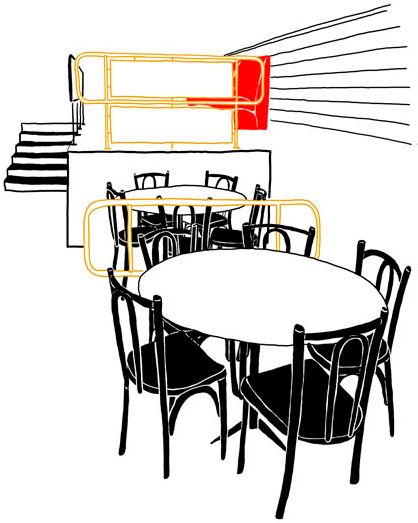 The urban landscape photography of São Paulo by Bob Wolfenson and the chalk drawings from the architect Giancarlo Latorraca complete the restaurant decor. Ritz Itaim offers delivery service "Ritz at Home" in all region of Itaim Bibi and surroundings. 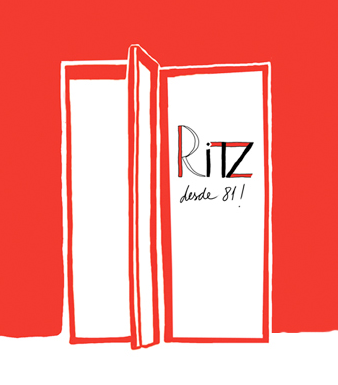 In the year that marks its 30th anniversary, Ritz will inaugurate a third unit in the new e mall hall. One of the greatest success stories of gastronomy in São Paulo began in November 1981, when Ritz Alameda Franca was inaugurated, in Jardins. Two decades later, came Ritz Jeronimo da Veiga in Itaim Bibi. And the third part of this story begins to be told now. In the year that marks its 30th anniversary, Ritz opens a branch at Shopping Iguatemi, having as partners, by group order of entry, Maria Helena Guimarães, Octávio Horta, Lygia Lopes, Sergio Kalil, Carlos Kalil, Miguel Olivetti and Fernando Neves.